Ojo's World: Why So Angry? I don't intentionally walk around with a smile on my face, or full of a sunny attitude. I do however try to see the positives in most situations. I am a big fan of social networks. I think it's a good way to express your feelings. Not all of us have that 'best friend' that we can open up to, so sometimes that screen becomes our best friend. Share it on social media, someone else might be having a crap day, and can sympathise. Or there might be someone that will want to make you smile. Every one seems so damn angry! People seem to be obsessed with complaining about how others lead their lives, or conduct themselves. There is a terrifying trend of 'online shaming' by angry parents (I'm sure many of you have seen the awful story of the young girl that committed suicide, after one such video). But why? 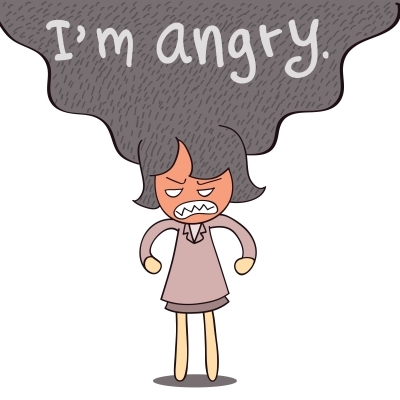 Why are we all so angry? I am a firm believer in 'live and let live', there is room for us all on this planet. As long as we are not hurting anyone, why care? I'm not perfect, somethings utterly piss me off but I switch over, turn off, shut down. Whatever, it's not hurting anyone, why is it my business? Why can't more of us let others get on with their lives, without a running commentary on it? Has social media become a place that we rant, rather than speak/communicate? I hope this post hasn't made you angry, if it has shut the page! So this is my call to arms. If something annoys you, switch it off, make a real difference! Don't write about how angry it makes you, that's just publicity. Lets just let people get on, even if they're different. Life is far too short to be worrying about others.